C7280 - LED Submersible Rectangular Trailer Light Kit - Over and Under 80 In. 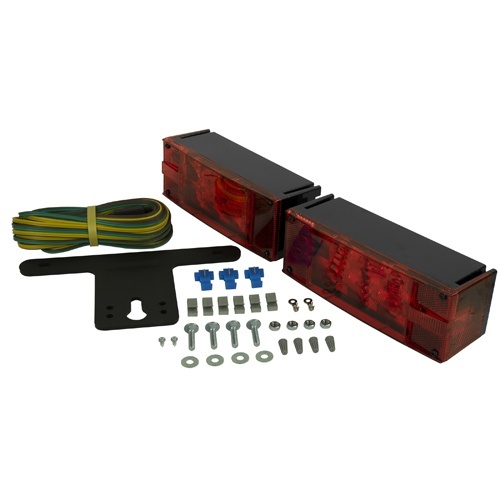 Description: LED Submersible Rectangular Trailer Light Kit - Over and Under 80 In. C7288TM LED LH Submersible Rectangular Stop/Tail/Turn Light, Over and Under 80 In. C7298TM LED RH Submersible Rectangular Stop/Tail/Turn Light - Over and Under 80 In. 7288B LED LH Submersible Rectangular Stop/Tail/Turn Light, Over and Under 80 In. 7298B LED RH Submersible Rectangular Stop/Tail/Turn Light - Over and Under 80 In.